Yes, zombies are certainly played out in gaming now, let’s not pretend they’re not. When we first booted up Dead Rising on the Xbox 360 all those years ago it was an amazing, new experience, but the last console generation kind of ran everyone’s patience thin for the flesh munching monsters. That’s not to say there’s no space for them anymore, in fact, there’s a gap in the market being left wide open. Zombie games are by the books. Either about narrative, or survival elements, rarely any in between, despite games like The Last of Us showing us all that a proper narrative can be woven into the story of a post-apocalypse filled with the undead. Now it’s time for a game to approach the genre with a new lens, and not just make zombies the theme, but a mechanic in themselves. That’s where Days Gone comes in. 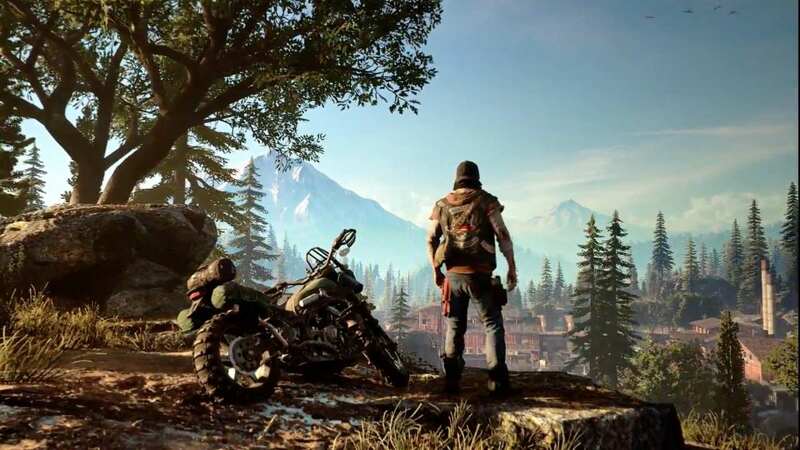 In an early trailer, Days Gone showed us what looked like a hybrid of The Last of Us and Ride to Hell: Retribution, and didn’t initially impress anyone. Until that scene happened. A fence broke thanks to an explosive laid by our protagonist, and a swarm of creatures engulfed their enemies. This was warfare given an entirely new spin, and the fevered motions of the zombie crowd reignited our hope for an exciting zombie adventure. 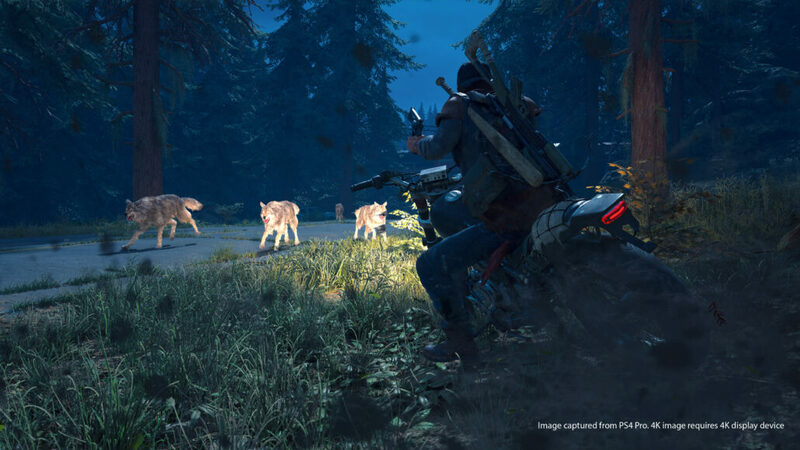 I finally got the chance to sit down and play Days Gone at the recent InfoGamer 2018 event in Zagreb, Croatia, where the game was being displayed next to the other big hitters coming to PlayStation 4 soon, and what I saw in the demo was slightly underwhelming. Our protagonist Deacon St. John arrives at a long abandoned gas station with his partner and decides to investigate the place for supplies and other essentials. The rain beats down on the environment and covers everything with a grey hue. Zombies lurch around the environment, limping and hobbling along, mostly harmless and ripe for execution. These zombies were oddly small. A gruesome execution animation performed from behind sees our protagonist pull the childlike ghoul by its feet before stomping and bursting its head open. Yikes. Visceral, sure, but seeing what was essentially a child zombie get brutally killed like that was slightly gross, for me anyway. I prefer bullets which somehow feels much more humane. Climbing onto the roof of the gas station and jumping into a hole in the top you can explore detailed environments and find things to help you survive in the new world, with the gas station of course having fuel, bandages and more. There’s a survival element here, absolutely, but it doesn’t appear to take precedence over anything else. Upon unlocking the gas station from the inside and searching for my partner, I find he’s being tortured by two others – human, just without humanity. Sneaking up on them I take them both down with my shotgun before saving my pal and quickly having the evacuate to avoid an incoming zombie horde. Days Gone feels higher quality and better produced than other games with survival elements and zombies, which is always a plus, and the environments seemed detailed and interesting, another point in its favour. While I didn’t get to see terrifying zombie crowds and physics here, trailers have certainly shown an impressive display. Though, given that I didn’t see any crowds, it’s odd that I did, in fact, see frame drops. I feel like it was the heavy rain and weather effects that were the culprit, but I would be lying if I said I didn’t see several very obvious frame drops, which made it clear why the game hadn’t been released yet. To be clear, the performance I saw wasn’t game breaking in any way, and wouldn’t ruin anyone’s experience, but if I saw performance dips when there were very few zombies on screen, I dread to think how the more crowded environments might run. Well, that’s probably why there weren’t any crowded environments in this demo. It’s fascinating to see a game go for a more cinematic, detailed styled in this kind of setting. 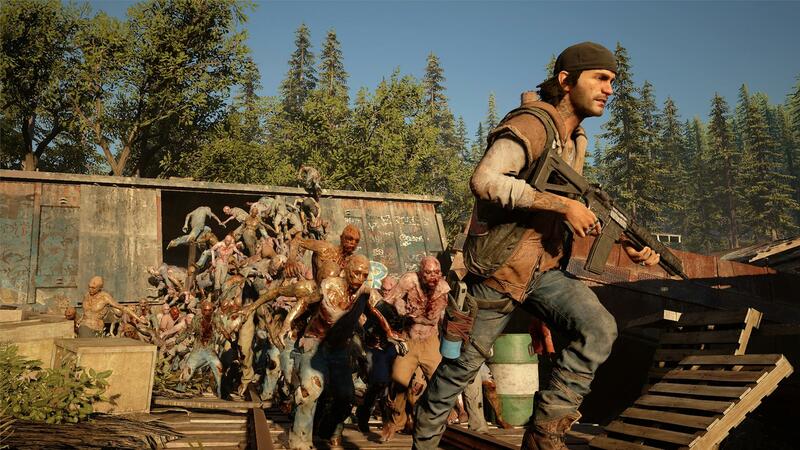 We’ve seen The Walking Dead tackles character driven narratives in a zombie apocalypse before, but despite how much I love them, the Telltale Games just don’t have this level of polish or production, making it incredibly exciting to see Days Gone. It still needs quite a bit of work, but it could turn out to be an essential PlayStation 4 exclusive if the developers at Sony Bend can refine it before it ships on April 26th, 2019.